Ralph Nelson Elliott, a professional accountant, discovered the underlying social principles and developed the analytical tools in the 1930s. He proposed that market prices unfold in specific patterns, which practitioners today call “Elliott waves“, or simply “waves”. Elliott published his theory of market behavior in the book The Wave Principle in 1938, summarized it in a series of articles in Financial World magazine in 1939, and covered it most comprehensively in his final major work, Nature’s Laws: The Secret of the Universe in 1946. Elliott stated that “because man is subject to a rhythmical procedure, calculations having to do with his activities can be projected far into the future with a justification and certainty heretofore unattainable.” We can relate the last paragraph to the Human Nature and as a result, the Market Nature is the Market created by Humans. We believe the Market follows their own Natural code which we call sequences. Mr. Elliott calls it the Pattern or the Fractal nature of the Market. The Market advances in 2 sequences, the Impulse which comes in sequences of 5-9-13 or the corrective sequences which come in 3-7-11. 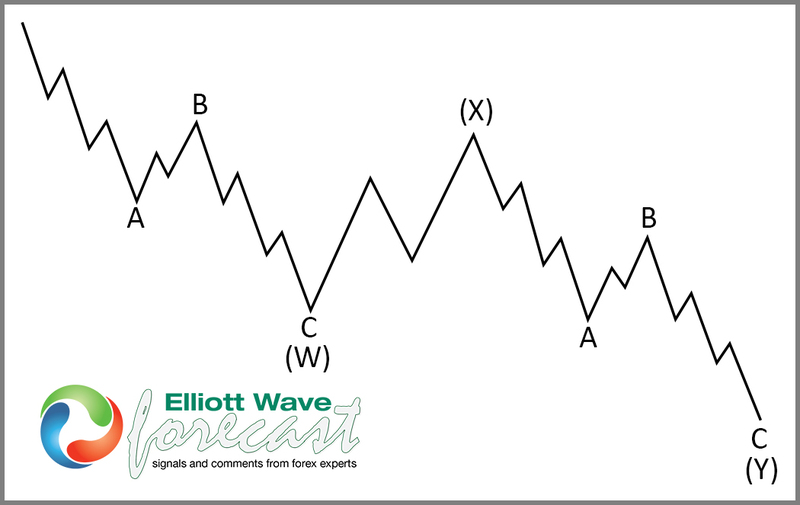 What we have developed at Elliotwave-Forecast (EWF) is a new understanding of The Elliott wave Theory which states that trend can advance in 5 waves or 3 waves and that at the end, every 5 waves becomes a 3 waves. After doing more than 7000 charts every month, it is clear that the Market follows a rhythmical movement and repeats itself time after time. As humans, we do have a Biorhythm which by definition is a person’s biological cycles that affect his or her ability in various domains such as mental, physical and emotional activity. These cycles begin at birth and oscillate in a steady (sine wave) fashion throughout life, and by modeling them mathematically, it is suggested that a person’s level of ability in each of these domains can be predicted from day to day. This theory is built on the idea that the biofeedback chemical and hormonal secretion functions within the body could show a sinusoidal behavior over time. The relation here is the word cycles. We at EWF believe that the Market follows cycles like Human’s Biorhythm and also creates repetition like the Human Nature, so it is easy to see and understand that The Market has its own Nature. The Nature is a relationship between the Sequences, the cycles in prices and time and also the repetition of the patterns which need to be related in time and prices. This relationship between sequence and cycle occur in multiple time frames, thus we can have an instrument ending a sequence in one time frame, but this sequence is part of a higher sequence. After ending a sequence, the instrument can correct then it can keep trading at the same side, or the instrument can also reverse the direction after ending the sequence if the higher time frame is against the lower time frame. The Elliott wave Theory helps us a lot to understand The Market Nature, but without a proper understanding of The Market Nature, there is no way the Elliott wave Theory can be applied. Elliott wave is very subjective and one of the reasons is because it was developed in the 1930 and has not gone into any revision. 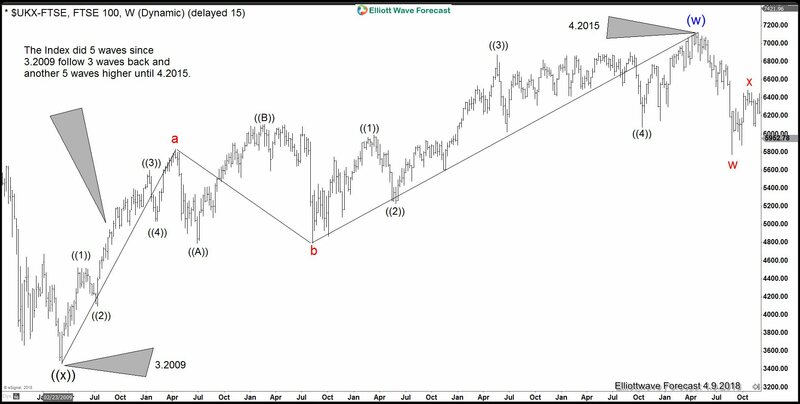 Traders keep following the same rules and we improve and add to the rules at www.Elliottwave-forecast.com so that it works better with today’s Market Nature. 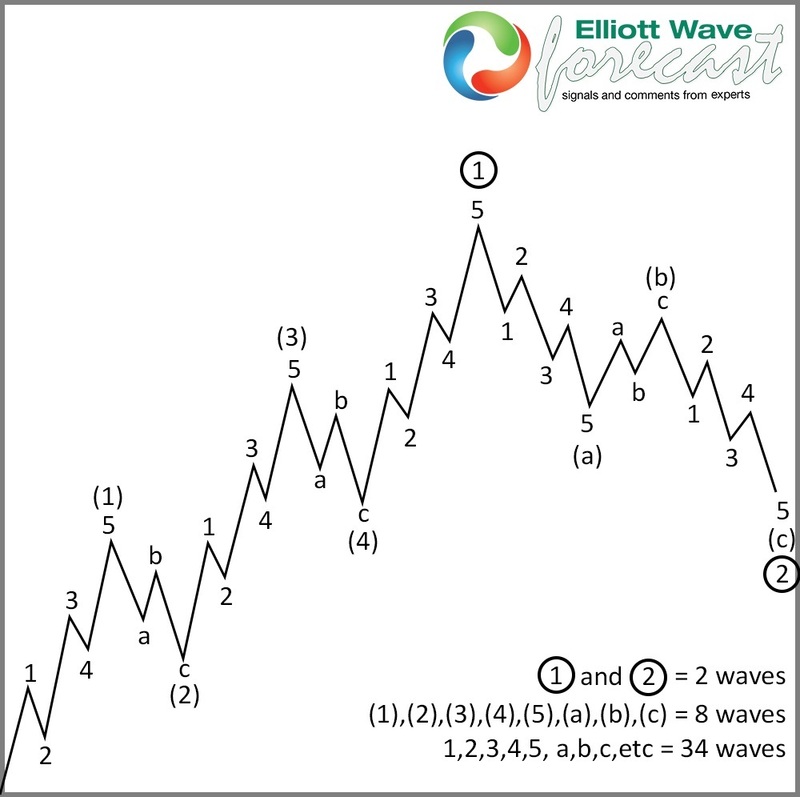 A Classic Elliott wave Theory’s pattern which runs a sequence of 5 waves and 3 waves back. In this sequence, the Market ends 5 waves in the smaller time frame, but follow the direction of the 5 waves to develop either 9 swings or 3 waves from the beginning of the lesser degree 5 waves. $FTSE did a 5 waves move from the lows at 3.2009 in the Daily Time frame. It has a higher Bullish sequence in the Weekly charts which makes the 5 waves move valid and result in more upside after a Flat correction in wave “b”. This is the case of 5 waves rally in the initial leg from 3.2009 low to wave “a”. After the initial 5 waves rally, we have a 3 waves pullback in wave “b” as a FLAT, followed by another 5 waves rally in wave “c” ending at 4.2015 high. The entire rally from 3.2009 to 4.2015 becomes a 3 waves, so an Impulse since 3.2009 low to wave “a” end up becoming a corrective zigzag structure when it ends at 4.2015 high. In the Classic 7 swing WXY structure, the Market does 3 waves move, then it corrects in 3 waves followed with another 3 waves move to the same direction of the previous 3 waves. In total, it has a 7 swing structure or WXY in the Elliott Wave Theory. In this case. 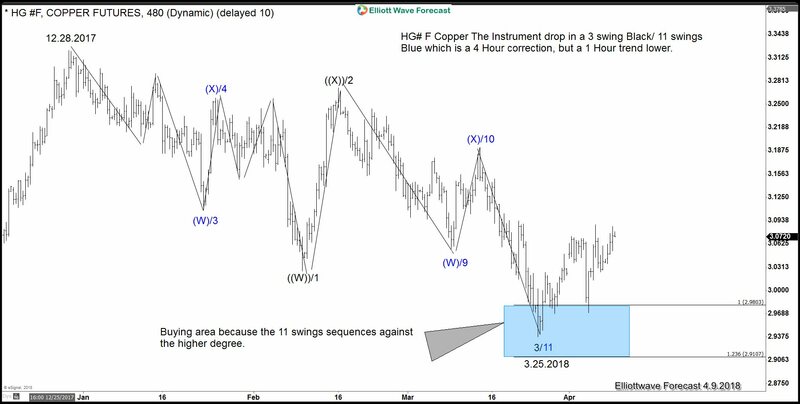 HG#F did what we call a 7 swing structure lower which is corrective by Nature. The trend since 12.2017 peak until 3.2018 low is bearish, but this bearish trend is only in the lower time frame (1 hour and 15 minute time frame) The higher time frame is impulsive and has a Bullish sequences, so we recommend buying at the Blue Box. Understanding how the Market Nature provides an edge to traders. We can pick the right side in different time frames and relate them to create a reliable or higher probability forecast. 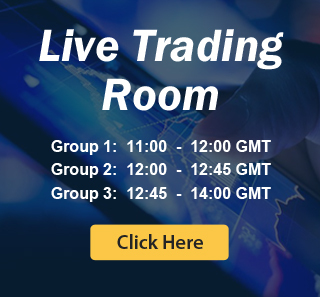 Nobody can forecast the Market 100% correct, but understanding the Nature will help you tremendously in becoming a better trader and remove some of the subjective nature of The Elliott wave Theory.